NEW LISTING! Welcome to this rarely available floorplan at Somerset House 2. Unit 508 welcomes you with grand views of the outdoor balcony and garden. Flooded with light, this 2500 square foot two bedroom plus den lives like a single family home all one level! Mastersuite provides more than ample closet space and a luxurious bath. A second bedroom for guests is complete with private bath. Additionally, a formal library/den off the living room extends your entertaining space. A bright white kitchen completes this lovely residence.Somerset House offers private security at the gatehouse, two doormen, two front desk staff and onsite management. A full service health club plus tennis courts are among the many amenities offered in this unique gated community. 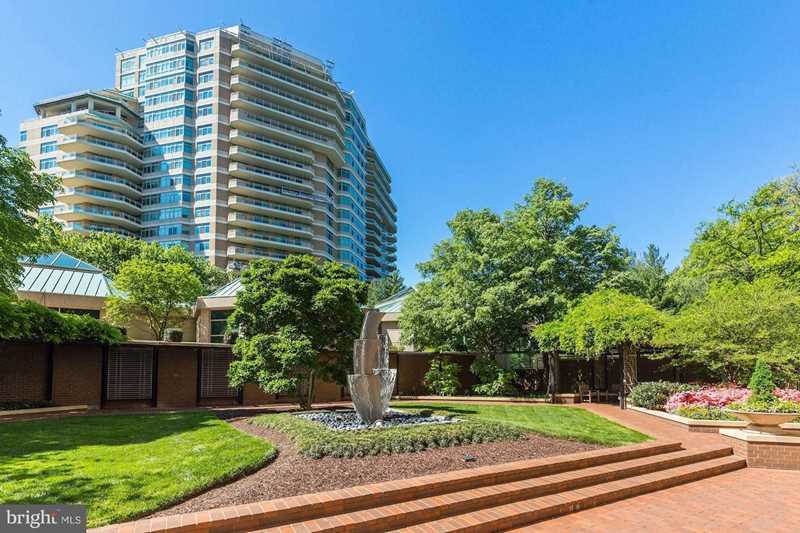 Located in the heart of Chevy Chase within 2 blocks of the Friendship Heights metro, upscale shopping, restaurants and more. 30 minutes to National Airport, 45 minutes to Dulles Airport and 30 minutes to the White House and Kennedy Center. Directions:North on Wisconsin Avenue just above Western. Left at the light at Saks Fifth Avenue continue straight through to guard house entry. Take a left and building 2 is the first building on your right. SchoolsClick map icons below to view information for schools near 5610 Wisconsin Ave #508 Chevy Chase, MD 20815.